60-year-old Helen Huynh’s health deteriorates daily as she waits to receive a stem cell donation that would save her life from the acute myeloid leukemia (AML) — a cancer of the bone marrow — that has ravaged her body. Over the last year, US immigration has repeatedly denied a travel visa to her sister, Thuy Nguyen, whose blood and bone marrow holds the key to saving Huynh’s life. Now, Huynh’s life hangs in the balance, as her family scrambles to find legal help in their fight to appeal US immigration’s inexplicable denial of Nguyen’s travel visa. AML is a relatively rare but highly aggressive cancer, and patients with the illness can die within months of their diagnosis. Timely medical intervention can dramatically improve outcomes for patients: 30-40% of patients younger than 60 are cured of AML when treated with chemotherapy to totally eliminate all diseased bone marrow cells, followed by healthy stem cell replacement from a donor. Absent stem cell donation, chemotherapy wipes out a cancer patient’s entire immune system, leaving them without protection from life-threatening infection. A donor’s blood or bone marrow contains stem cells that must be a near-perfect match to the recipient in order for the donor stem cells to survive, engraft into a recipient patient’s bone marrow, and reboot their damaged immune system. However, perfect stem cell matches are difficult to find (only 30% of patients will find a donor among their blood relatives), and donors and recipients who are not related often only match if they are of the same race and ethnicity. Patients of colour have a much harder time finding stem cell donors: only 2% of the national population is part of the national bone marrow registry, and people of colour are woefully underrepresented on the registry. Because nearly 70% of registered registered donors are White, White patients are able to find a donor 75% of the time they look for an unrelated donor on the registry, while Asian American patients only find a matching donor in 40% of cases, and Black patients only find a matching donor in 25% of cases. Rates of finding a match are even lower for mixed race patients. In the case of Helen Huynh, doctors were able to find a stem cell donor among Huynh’s relatives: Helen’s sister, Thuy Nguyen, is both a rare perfect match for Huynh’s bone marrow, and she is also willing to travel to the United States to donate her stem cells to save her sister’s life. There’s just one problem: Nguyen lives in Vietnam, and despite repeated attempts to obtain a travel visa for Nguyen so that she can travel to the United States and serve as her sister’s donor, US immigration has repeatedly denied her application. Officials say that — despite the fact that Nguyen has a family and owns a small business in Vietnam — she has not demonstrated that she will return to Vietnam when her visa expires. Indeed, US immigration appears to routinely deny travel visas to prospective stem cell donors, and the current climate of heightened anti-immigration nativism and restricted entry to the United States has only exacerbated the problem. Nguyen — who owns businesses and has a family in Vietnam — applied again with proof she was financially stable in her home country. “She’s not poor, but that’s the mentality that these interviewers have: If you are from a less developed country, you won’t leave,” Murray said. Huynh’s family suspects that if Nguyen was White or applying from a European country, her travel visa application would not have been denied. They see a double-standard set for applicants from non-White and “Third World” nations, where applicants are assumed to be a priori guilty of trying to enter the country illegally. No amount of evidence that Nguyen has no interest in over-staying her visa seems sufficient to convince US immigration officials that her only motivation is to save her sister’s life. Huynh’s family finds this particularly insulting given that Huynh’s husband, Vien Huynh, served as a South Vietnamese officer during the Vietnam War, fighting alongside American military personnel against Viet Cong forces and spend years in a brutal re-education camp after the US government withdrew from the conflict. The Huynh family was later granted immigration to the United States as part of a program for South Vietnamese officers and officials, and the entire Huynh family moved to California and naturalized as American citizens where they gave birth to their third daughter. After twice being denied the travel visa, the family has hired lawyers to pursue an application for humanitarian parole, which would grant emergency entry to Thuy Nguyen. However, the family is worried that humanitarian parole is only rarely granted, and that this application has a low likelihood of success. The family is also appealing to local elected officials for help. 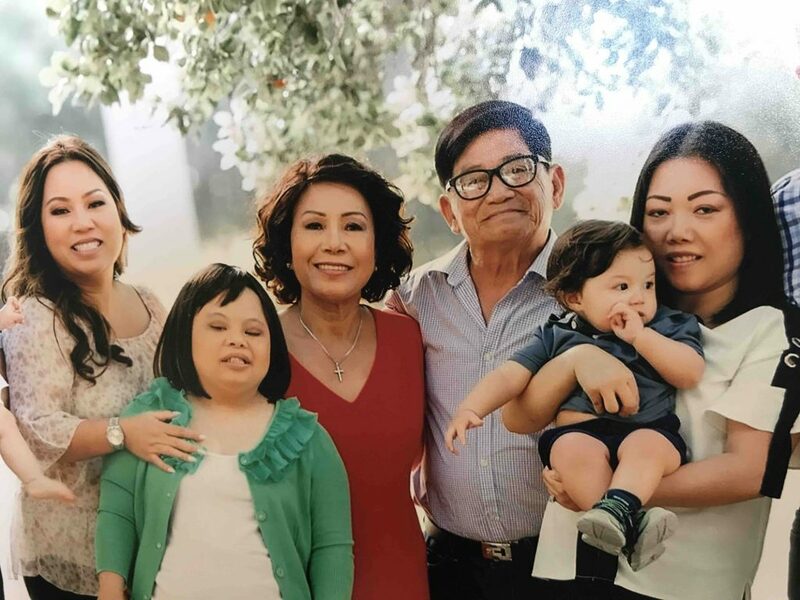 The Huynh family is asking for the community’s help: please donate to their GoFundMe page to help offset medical expenses and prepare for funeral costs. Please also reach out to elected officials — particularly in Southern California but also elsewhere around the country — and demand that they help the Huynh family. In addition, please also share Helen Huynh’s story with your network. Finally, groups like A3M hold frequent bone marrow drives to encourage Asian Americans to register as bone marrow donors, and to diversify the national bone marrow registry so that Asian American patients seeking unrelated donors have an easier chance matching with a donor. I have been a registered bone marrow donor for years; please consider registering yourself as a donor, too. Registered donors are only rarely found to be a match (I have never been matched despite being on the registry since 2012) and even if matched, for most patients the donation process is similar to donating blood and does not require surgery.